The start of the summer! And all the iced tea…. 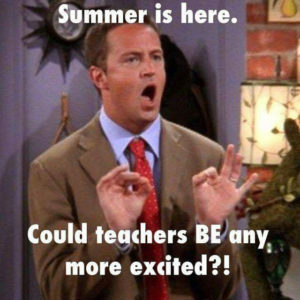 Yes, the summer is finally here! 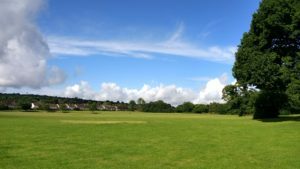 After the parkrun tourism on Saturday I went on a long run on Sunday morning (8 miles), somehow managing to miss all of the rain. I took on the big hill again, and managed to get to the top without stopping which pleased me immensely. Sitting in my garden after was the perfect treat, and a good way to cool down. On Monday I was in work for the morning (well, until 2pm) and then we had an afternoon tea for a colleague who was leaving. It was in a garden centre so I had a mooch around the plants outside, as I had arrived early. It was all very relaxing and a good start to the holidays. When I got home I had a pile of laminating to do, so I sat in the living room watching some of Wild Alaska while I powered through the pile. On Tuesday I was back in work again for the morning, and then after getting home and having a spot of late lunch, I headed out on a run. I’d mapped out a route (I wanted to get to the big hill from the other side to see about doing a loop)- the map thought around 9.5 miles. It was warm out- I’d worn fairly long capris and a t-shirt, and within 10 minutes I was wishing I had opted for a vest- I really do not know what I was thinking. I ran down to the lakes and then, after a little stop to look at maps on my phone (as I nearly headed off in totally the opposite direction) got to the other side of the big hill, to run up it and then down it, before looping back and running up the worst hill ever (it’s nearly 200ft in half a mile and it just is horrible). I do enjoy running I promise! By the time I got to town I had run 10 miles, and I still had just over a mile to get home again, so I stopped for a drink before running slowly home as a cool down. 11 miles was my longest run for ages- I think since doing the half marathon with Dad at the start of April. I am not good at running far in the summer! I also need to remember that mapometer is not that accurate especially once you go off road. My new watch is going well, although I am having slight issues with the bluetooth. After it worked so well on Saturday (it uploaded to strava while Mum was cooking pancakes), the app on my phone seems to have a paddy if it loses the bluetooth connection. I spent ages turning the bluetooth on and off, trying to re-set it, and ended up having to pair it again. The Garmin app does seem to have trouble as I had given up synching my vivofit with it (I used my tablet instead) as a newer version just seemed to crash the whole time. I will experiment as I think it seems to prefer being connected the whole time, but in reality I don’t have my phone in my pocket so even if I go downstairs to the kitchen it will lose the connection, so I am not sure if I should just leave it off until I need it. I’ve turned off the “move” alert as it vibrated and made a noise (very annoying in the cinema I would imagine, or a staff meeting…. ), and then for some time after that it was telling me each time I had an email or a facebook update. I’ve turned that off now too, as I don’t want my watch to be that smart! It does, however, still link to my calendar. 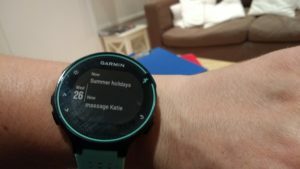 On Wednesday I’d been out for breakfast with the team from work, and then had a walk for an hour or so, before heading over to St Albans for a massage- I was fiddling with my watch in the waiting room and just seeing “summer holidays” and “massage” on the screen was relaxing! 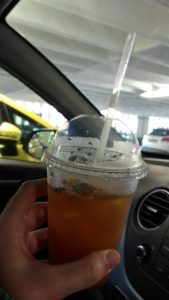 After the massage I thought I would go off plan and try an earl grey and lavender iced tea, but it was not a good decision. I couldn’t put my finger on why, but it just tasted weird. I had been struggling with a headache on and off for the previous 2 days, so perhaps I just wasn’t feeling 100%. They do a rose and hibiscus one and I think I should have gone for that instead- ah well you live and learn. 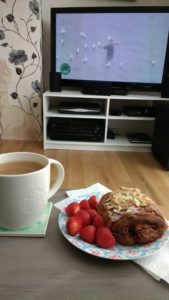 After a 5 mile run on Thursday I had a blissful breakfast (a chocolate and almond croissant) while watching some of Wild Alaska Live. It’s making me want to go to Canada again (and yes, I know Alaska is not in Canada, but the scenery looks like British Columbia with such amazing wildlife). We’re off to Austria for a week and I am not taking my running kit- I am hoping our days will be filled with walks in the fresh mountain air, and of course enjoying anything with marzipan. I do sometimes like to run on holiday but I feel like a break is a good thing (my heel, although not really painful, is still not quite right) and we’ll be keeping active with lots of sightseeing. Are you a Friends fan? I feel like there is a Friends quote for pretty much any situation. 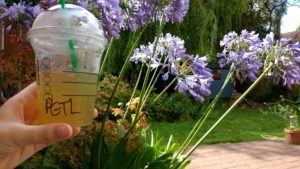 Are you an iced tea fan? I prefer it properly brewed rather than the syrup stuff, but when you are hot and thirsty I am not going to complain. I’ve made some pineapple iced tea so I shall be enjoying that later. Do you like to run or exercise on holiday? 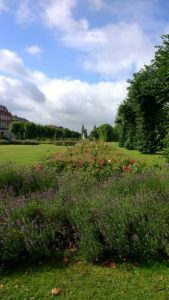 Author Maria RunsPosted on July 28, 2017 July 27, 2017 Categories General ramblings, Running4 Comments on The start of the summer! And all the iced tea…. 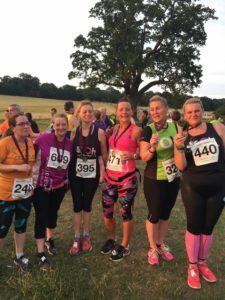 To achieving all of the Hertfordshire parkruns that is. 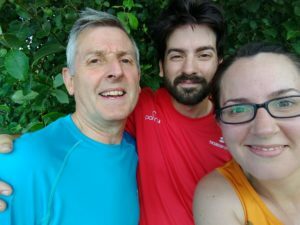 I think it was last year that I decided to try and run all of the Hertfordshire parkruns, and often Dad has accompanied me. So far as well as our home runs of St Albans, Panshanger and Ellenbrook fields, we have managed to run together at Tring, Aldenham, Rickmansworth and Stevenage, have run Gadebridge on separate days, and I have been to Barclay on my own. This only left two- Cassiobury and South Oxhey, both in Watford. As I am away for the next couple of weekends, we decided to tick one more off. 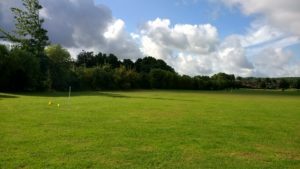 I was given the choice as I would be driving, so I went for South Oxhey as it seemed easier to park and tended to have a smaller field of runners- perhaps less congested and maybe a higher placing for us. I picked up Dad and Tony just after 8am, and we arrived at 8.30 with plenty of time, so we sat in the car park and chatted for a while before deciding we should head out just in case the start was a bit further away. We needn’t have worried as the parking is in a pub car park and the start was just behind the building. We had a wonderful welcome from the RD (Michelle) who seemed to know everyone else by name. I’d put a few old towels in the boot in case it was raining, but thankfully we were greeted with blue skies for the duration of the run. There were a few other tourists so we had the usual briefing (3 laps of the park, including a hill hidden behind some trees) and then the main briefing, where we were all mentioned to the rest of the runners. One runnr (Evelyn) was running her 50th and so had brought along cookies and watermelon slices for the finish. Just before the start a PCSO turned up with a lady and her guide-dog- I recognised her from the parkrun volunteers evening as she had been on the stage with one of her guide runners speaking about it. Someone had been blocking her route so she had called the police to help her, but it did cause us a little bit of a wry smile because everyone we had mentioned this to had said about how rough the area is, so having the police there only added to the stereotype. We walked to the start, a little way down the field past the finish area, and then we were off. 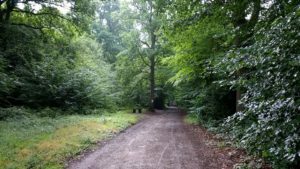 The route was very simple- 3 laps of the park, although the other side of the park was obscured by trees so you could not see the hill. We were told to look up when we got to the top of the hill- the views were lovely and so green- I took a few photos while running and they didn’t even come out blurry! We kept it fairly steady and by the third lap the hill was feeling more painful. We chatted to another tourist (she was in Watford for a work do) and encouraged her to try and catch us up when she stopped for a little walk break. I didn’t look at my watch while I was running (although I managed to work it just fine and felt it vibrate and beep after each mile), so I was very pleased to see a royal flush negative split (9.34, 9.17, 8.58, 8.03) and position 19! A top 20 finish is a rare thing! Even if there were only 38 runners in total! I was third lady and also first in my age category- again that doesn’t happen often for me! We all enjoyed a piece of watermelon before getting our tokens scanned. 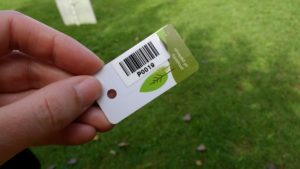 The lady with the visual impairment was barcode scanning, so we were asked to make sure we handed our personal ones first as she wouldn’t be able to see which way around we were giving them. We were tempted by the coffee van, and had another chat with the RD and also one of the other tourists, but Mum had promised pancakes so we headed back after a quick photo. So, why one step forward and two steps back? 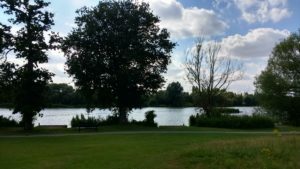 Well, today was the first Westmill parkrun, close to Ware, and next weekend Heartwood Forest parkrun (between Sandridge and St Albans) begins, so I now have three more than need doing! 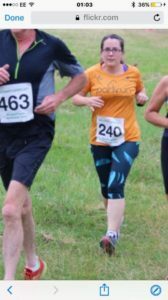 This year my parkrun aims were to do my 100th parkrun, and get on the UK most events table (you get on there once you have run at 20 different UK events). Of course the eventual aim is for 100 different events but that is going to take years, so to keep me busy I am looking at different sets. The Hertfordshire set is the first one that I thought of, but I have seen people chasing the alphabet. I’ve also been listening to the parkrun adventurers podcast (based in Australia)- they have all sorts of cool sets like a pirate (seven C’s and one R), a statesman (which is either one of each state, or all of the parkruns in one state, I can’t remember). I’ve seen compass ones (most northerly/southerly/easterly and westerly parkruns). 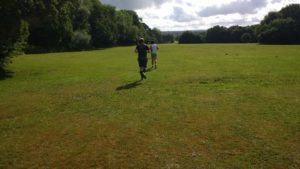 Are you interested in any parkrun challenges? Have you completed any or are you aiming for anything? Do areas near you have a bad reputation? 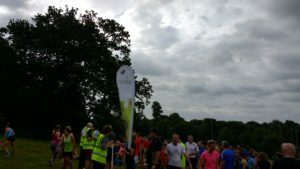 South Oxhey parkrun was so lovely and welcoming, and had a real community feel, and weirdly it’s so close to Cassiobury where they get 300+runners. I do wonder if they had a different name, more people might go to it? This week, because I was running a 5 mile race on Wednesday, I skipped the club run and went out on my own- I was going to do 2 miles (as I didn’t want to do too much as it was again on consecutive days) but I got a bit lost and ended up doing 3. 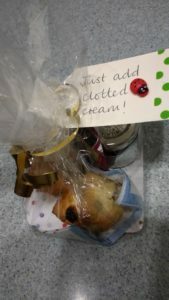 For the final week of term (which was not at all “winding down” as some people think- I had 7 meetings this week to fit around normal teaching…) I was given some lovely gifts from co-workers and the children, including this lovely cream tea kit. It contained homemade scones, a tea bag, coaster and mini jam pot- I decided I would have that after my race. 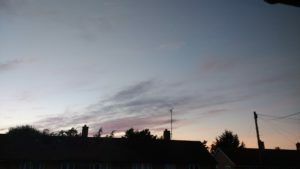 I could not decide on what to eat during the day, and poor planning ended up in a fail- I had a mini bagel for lunch in the end (toasted) and then a piece of toast when I got home-I didn’t get back until 6, and I needed to leave before 6.45. Anyway, worse things have happened at sea. I did this race last year and so I knew it would be the type of low key event I love. I drove and parked and within 5 minutes of parking I had picked up my number and found my crew. I decided to not look at the time I did last year as I didn’t want any pressure, I just wanted to enjoy it (despite all the pictures looking like I was having a grim time, I promise I loved it!). The weather had been overcast but it was pretty good running weather (for July). The start is next to the lakes in the park (around 3km of the regular parkrun course) and while we were standing at the start line we saw a teeny frog hopping about in the grass. I don’t mind frogs but I don’t want to touch them, and we tried to shoo it out of the way but it was hopping nearer the middle of the crowd. Luckily a guy stood near us picked it up and put it on the other side of the tape, so it was saved- phew. Back to the race- it starts on a hill which is pretty mean! I actually had thoughts of walking, but then told myself off. I really should have warmed up a bit…. 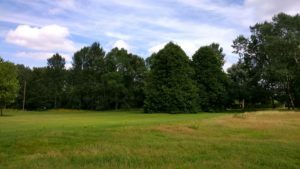 It’s a very up and down route with lovely views of the park, and the first mile and a bit are away from the parkrun route (to the old oak tree) so it’s good to have a change of scenery and not feel like you know it too well. 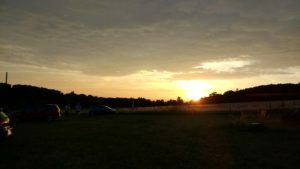 It felt fairly muggy once we got going and I kept wiping my face with my sleeve as sweat was pouring all over my face. At the 2 mile point you run back through the start area, and we could see the kids finishing the fun run (which started right after the main race). The route is hard to explain- starting in the middle with three out and back loops each time returning to the middle before beginning the next loop. 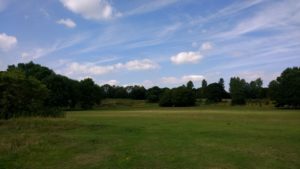 I knew there was a big hill coming but could not remember where, as the next bit was in a part of the park that is still usually closed to the public (unlike the oak tree part where you can walk or run there any time). I’d already decided I was walking up the hill- my legs felt tired and I think I probably hadn’t had enough to drink during the day. When I reached the hill I ran up around 1/3, walked, and then when I got close to the top started running again. 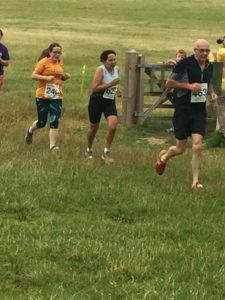 Then after a very steep downhill it was onto to the final couple of miles- it follows the end of the parkrun route, up the finish hill, and then back through a field towards the race start/finish area- a lovely downhill and flat part, and the sun even came out. I’d packed a few coins in my pocket as I knew the coffee van would be there, and so as soon as I finished I headed to the queue- I really fancied a chai latte. I bumped into Elaine (my running friend from our Sweatshop days) and we chatted for ages- I love this sort of thing about running. The OH crew then came to find me so we could have our medal photo- no idea what I am looking at! Then it was time to head home- it was the most gorgeous sunset. I checked my results- 49.37- not too shabby on a fairly undulating course. Strava told me I was trending slower on this route, with a very downward looking graph (I think it is always the same steepness) but in fact when I looked I had 49.43 chip time last year so I did in fact get a course pb. 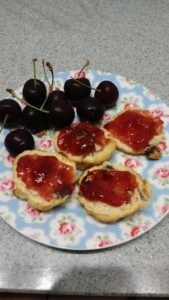 After a shower I sat down and enjoyed my scones- they were delicious. Onto the rest of the week. 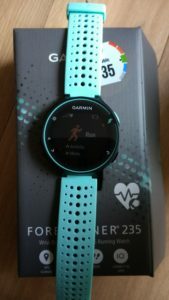 Last Tuesday (Prime day) I finally relented and ordered a new Garmin. My old one is 5 years old (I think- it’s the only one I have ever had) and it is starting to peel away from the strap a bit, and does not always locate satellites very quickly, plus I fancied one with bluetooth so I don’t need to plug it in to upload my runs each time. Anyway, it turned into a hoo-hah because each time I logged on it would say “arriving tomorrow”- for a whole week. In the end I called up and they said it had been lost in the post so they sent me a new one. I was very excited when it finally arrived on Thursday (over a week later)! I had a bit of a play on Thursday but in the end decided to charge it up and work it out at the weekend. Friday was the last day of term (hooray)- one of my colleagues drew me this amazing Totoro card- she knows me so well! This mini orchid is beautiful and is going to go in my office once I have sorted out a bigger desk. After dinner we had a walk around while I wore my new watch- I had a bit of trouble sorting out the bluetooth but once that was sorted it was very easy to use, and I love that it sent the run to Garmin/Strava right away- I don’t mind when I am at home but I always worry about the run not saving properly once there are a few on there, so if I am on holiday it will stop that from happening. Plus it turns out it is also a step counter and activity tracker so it can replace my vivofit (which is nearly 3 years old). Do you like frogs? I like seeing them but I am worried about treading on them- when I was little I thought I was jumping from stone to stone, and just before I landed, the “stone” hopped away, and the thought of what it would have felt like was traumatic for me (and of course I don’t want to kill a frog). Are you good with technology? I still feel like everything moves a bit too fast- as soon as I work out how to use something, it has been replaced (I hand wrote all my A level coursework as it was quicker than typing, and only really started using computers and even emails when I was at uni- how times change!). 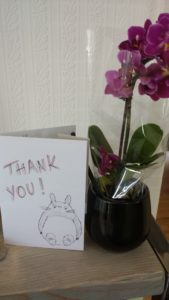 Hello, I have a guest post today, but just before I get on with that I wanted to say thanks to everyone who asked about my mum- I realise I have been posting sporadically recently, and it was only when I was reading a few old posts I realised I hadn’t mentioned how she is doing. She’s recovering well, resting at home, so it’s a huge relief to know she is on the mend. Gyms can be incredibly useful places if you want to boost your strength and cardio. But a lot of people have a hard time actually enjoying themselves at the gym! This becomes quite discouraging, and may result in you never going (although chances are you won’t cancel the membership!). So we’re going to take a quick look at some of the best ways to increase your enjoyment of (or, rather, decrease your displeasure with!) the gym. A lot of people choose to go to a gym that’s closer to where they work because it allows them to get exercise in either before work or just afterwards, just before they go home. This makes sense at first, but a lot of people actually end up shirking their gym responsibilities with such a plan in mind. There will be days where you just don’t want to work out so close to work in the morning. Those who haven’t signed up to a gym closer to work may still have signed up to one that’s quite far away from home simply because it’s a bit cheaper than a gym which happens to be closer. But the fact is that a gym that’s too far away from home – whether close to work or not – is going to create a lot of inconvenience. As smart as it may seem to do otherwise, it really is best to sign up for a gym that’s closer to home, as long as it has the facilities you need. One of the best ways to ensure you enjoy the gym and get a bit more out of it is by getting a personal trainer. A lot of gyms have personal trainers in the vicinity who can help you out, either on a short-term basis, a long-term basis, or even for just a session or two! Speaking of personal trainers, you could consider turning the gym into your workplace by becoming a personal trainer using resources such as Origym. A lot of gym fanatics take up this sort of career because of its relevance to their interest, as well as the convenience of location and getting free gym memberships! If you’re not quite ready to actually become one, then it’s still worth keeping working with one in mind. A lot of people who become disenchanted with gyms or even exercise in general find themselves reinvigorated when they work with a personal trainer. They hold you accountable, making sure you stick to your weekly goals. They teach you how to do certain exercises safely and effectively, which can help ensure that both your cardio exercises and your strength exercises do your body as much good as possible while avoiding common dangers. Part of the greatness that personal trainers provide is in the company and encouragement they provide, as well as the more practical assistance. With this in mind, it’s also worth considering bringing friends with you along to the gym. Some people don’t like the idea of going to the gym with friends because they want to keep exercises as private as possible, but bringing a friend along is definitely worth trying if you’ve found yourself not using your gym membership much as of late. It turns the endeavour into a social activity, which helps boost our happiness in the gym. Another reason having a friend or a personal trainer is good is because it helps you overcome gym anxiety – something that a lot of people suffer from, and something that could very well be the cause of most gym absences! Anxiety, in general, is a pretty difficult thing to overcome. If you have a problem with it in a lot of areas in your life, then you should definitely consider seeking professional help. A lot of people assume that a doctor can’t do much about anxiety, but this isn’t true. Getting formal assistance with anxiety problems can definitely help, but there are specific things about gyms that can make people feel particular anxious. Let’s try simplifying the issue. You can pin the reasons for gym anxiety down to four things: uncertainty, comparison, judgment, and exclusion. Uncertainty is common in the first few sessions, often because you’re not exactly sure what to do, where to go, what equipment to use first or how to use that equipment, etc. Defeating this can be done by researching the gym and equipment carefully before you go, and attending with a friend familiar with the place or a personal trainer. Comparison is something many of us have had a problem with; we see someone who’s stronger or faster and become discouraged. See that person instead as having qualities you want to work towards. Honestly, the other people at the gym don’t care! This is something you need to remember when it comes to feeling judged while you’re there; chances are you’re not being judged at all. As for a feeling of “not belonging” at the gym, this is something that will pass the more you go. Don’t always rely on the gym! Remember: if you do all your exercise at the gym and you keep having negative experiences there, then this will create negative associations with exercise in general. Don’t let this happen! Make sure you do strength exercises at home, as well as cardio anywhere you can. 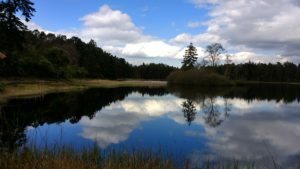 There are probably amazing scenic areas in which to run somewhere around where you live. You don’t have to go to the gym every time you get a desire to get a good workout! Are you a gym fan? If so what do you like about your gym? When I was a member I ended up going to the classes, as they were all included. I had an induction and used some of the equipment but often I would end up waiting as it didn’t have many of each machine/ piece of equipment, and the mats and weights area was very dominated by men who loved to stare at themselves in the mirror while lifting weights. If you don’t rely on a gym, what do you like to do? Of course running is top of my list, but after starting classes back in the autumn, yoga is now a firm favourite with me (I still can’t touch my toes with straight legs but I think I am getting a little bit closer)- my mind is calmer after a session and although it works on strength, it is also not as stressful (in the high-impact sense) as running is. 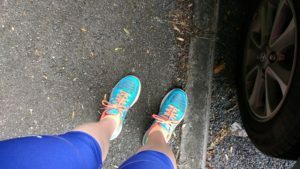 Last Wednesday it was the last yoga session (for me) of the term- they don’t run in the holidays and next week I am doing a race on Wednesday evening. We were back inside as it had rained a lot (we did a 5 mile run the night before and got rather wet, although not as wet as during our 8 miles from a few weeks ago). On my way home the sky was an amazing lavender colour- just perfect. On Thursday evening we went to the cinema to see Baby Driver, which I really enjoyed. I loved how it focused on the music, and it just seemed like a great action film (however, prison has not been kind to the Reverend Richard Wayne Gary Wayne…). I think the last film I saw at the cinema was Guardians of the Galaxy which seems like ages ago now. On Friday we watched the Beauty and the Beast remake. Now, I am not a huge fan of the original- I was never a Cinderella/ Belle/ Sleeping Beauty person- give me The Lion King or Little Mermaid or Jungle Book any day. So maybe I was not the best person to watch it, but I just couldn’t help thinking all the way through “I could be watching the cartoon version” (or even better, I could be watching Moana…). The new Jungle Book was brilliant- I loved how they used the songs in a different way, and the child actor was amazing. However, this was so meh. It was also so long! My patience ran out in the end. 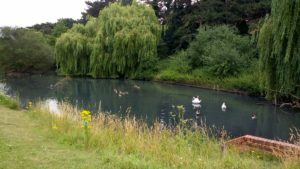 I decided to go to Panshanger parkrun on Saturday-barcode scanning there last week reminded me how beautiful it is, and I had to be back fairly swiftly as we were fireplace shopping and had afternoon cinema tickets- it’s only a 5 minute drive compared to Ellenbrook’s 15. I got there fairly early as the parking can get busy, so I had a bit of a run through the field first. Thankfully it was a bit overcast as there wasn’t much shade! 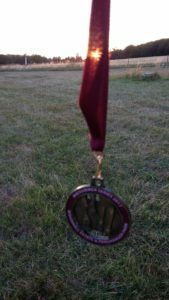 I enjoyed the run- I started fairly near the back as I wanted to run on Sunday too, and I have not run on consecutive days since May, as I have had a bit of a sore heel on and off. When I finished (30.09) there was a pretty big queue at the barcode scanning although I didn’t wait for more than a minute. I ran back to the car and as I got there it started to rain. I have decided to stop buying white running socks as they always get stained with mud. 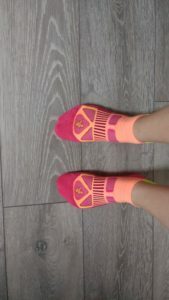 These are some Balega socks- I got them from Wiggle as I was buying some nuun tabs so thought I may as well. I think the orange goes with my shoes too! After a shower and breakfast we headed up to another fire shop to look at yet more wood burners- hopefully we will make a decision soon! We had to be quick as we had tickets to see The Red Turtle at the cinema in St Albans. It was a beautiful film, but despite it being animated it didn’t seem that child-friendly. Someone in the cinema was having an 8th birthday party and it didn’t seem to be their cup of tea as they were talking the whole way through….if only the parents would read the synopsis before booking tickets. 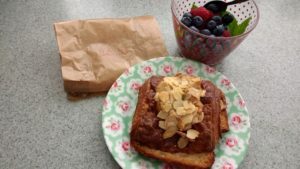 We followed that with a walk into town and back to the car (miles of walking via a new bakery to buy some delicious apple sourdough bread for dinner, and my breakfast for Sunday). 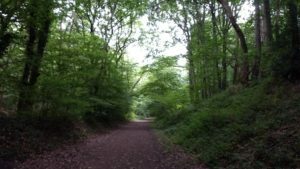 On Sunday I fancied another new route- I mapped one out that said it would be 7 miles. I found this pretty pond on my way. 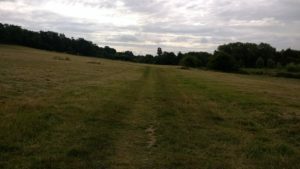 I also found a very big hill- the top of it was the other end of the Ayot Greenway (the old railway line I found the other week), so I got to run downhill in the cool woods to recover. 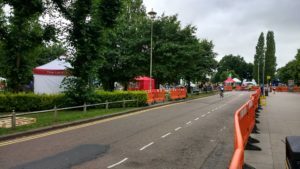 My route finished by heading through town, and the “Tour De Welwyn” was going on (lots of cycle races). The whole of the town centre was closed to traffic, and when I was there, there were kids races going on. I watched a few whizz by before finally heading home after nearly 9 miles (slightly inaccurate mapping from me)! I’m pleased I have found a new route though, and soon I am going to be the boss of that hill! 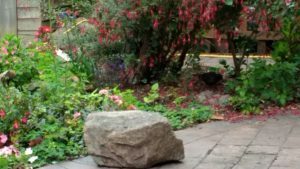 I’d put a nuun tab in some water in the fridge before I went out, so I sat with it in the garden, watching a bird peck about in the flower bed. A shower to make me feel more human again, and then what I was looking forward to- breakfast! Not just any breakfast, no. This was a chocolate almond croissant (heaven), plus raspberries and blueberries with fresh mint. And of course a massive mug of tea (Teapigs chocolate flake tea)- treat yo-self indeed. After speeding through my list of jobs, I walked into town, watched yet more cycling and then somehow managed to hurt my shoulder – I think by carrying a too-heavy bag on the walk home. 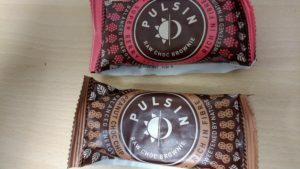 I was very excited to find these Pulsin bars in stock in the little health food shop- the peanut one sounds so good. The good news was that my heel felt OK after running two days in a row, but the bad news was that my back was bad- I ended up doing about 30 mins of yoga in the evening to try and stretch it out a bit. Do you like hill running? Although they are tough, I don’t mind them so long as I don’t finish on a hill. What have you seen at the cinema recently? Have you seen the new Beauty and the Beast?